YAY! I’ve finally made more progress on my 30×30 list! I thought for sure, at this point it had fallen by the wayside and I’d pick up the pieces after December 21st, but THAT is why I included some reading related items on the list! 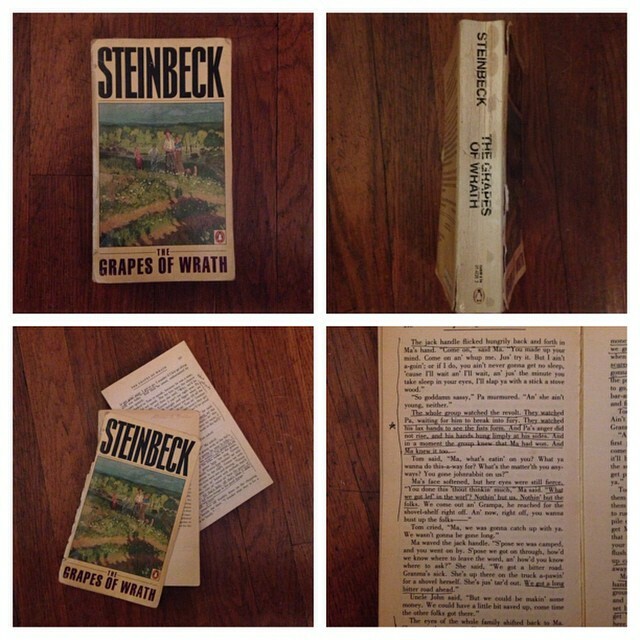 With the completion of John Steinbeck’s The Grapes of Wrath, I am now 1/3 of the way through my list and SEVERELY behind! I should’ve been at this point at the end of June, I’m going to have to seriously pick up the pace! Thankfully, I’ve made progress on a few other and count probably cross them off in the near future (lying in the park, growing something from a bulb/seed, visiting Alie in VA, reach 525 blog posts), so it’s not like I’ve just been lounging around even though I have! The reason I included Steinbeck on my list is that his writing terrified me for some reason. It’s so sparse and plain and I remember the two novellas in high school (The Red Pony and The Pearl) being a struggle and not making it 20 pages in to East of Eden, but thankfully I’ve grown and learned how to find a writer’s style and pace, and ultimately fall in with them and survive their writing. I really ended up enjoying this story, even if I’m still boggled by the ending, and will post my regular review as part of my normal blog habits/schedules on Friday. 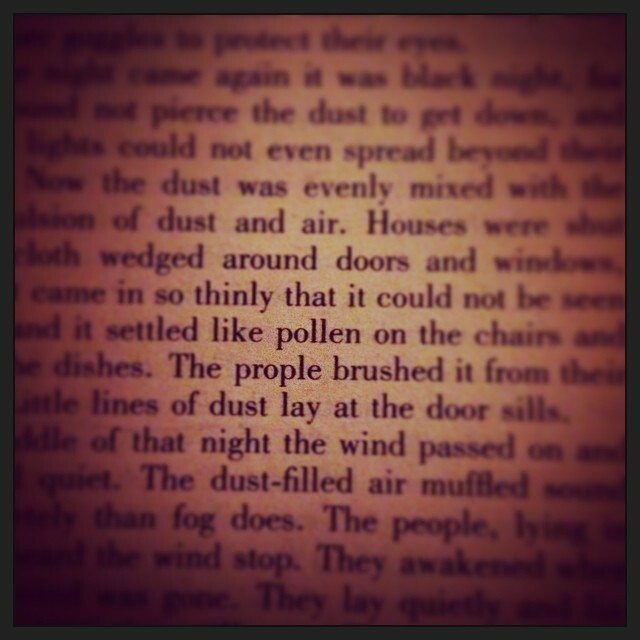 I’m sure I’ll mention it in the review, but for some reason a lot of the classics that I’ve bought that were printed in the 1980s have pretty noticeable typos in them including “prople,” above, which completely caught me off guard! On to the eleventh item of my list! Oh I love Steinbeck. We read Of Mice of Men in school and I really enjoyed it. I love his simple yet precise language. Eat of Eden starts if really slow and it’s then just slow for 150 pages. I thought st many points I’d give up but once I got past that marker something happened and I loved it. I could just lick those words up of the page. I haven’t read any others yet though, but I know I must. Glad you enjoyed Grapes of Wrath and hope you’ll read his others.OMOM is one of the few school books that managed to stand up to the boring drudgery of spending weeks reading a book I’d finished over the weekend. For some reason his style was just really hard for me. I was sick this past weekend so read A LOT in a single sitting and I sort of got used to it. I’ll definitely check out East of Eden at some point in the future as I have a copy somewhere and maybe even Of Mice and Men. After all, he is such an iconic American writer and I don’t read enough of them! I’m glad you managed to enjoy Grapes of Wrath, I know you were rather dreading it! Plus it feels good to make progress on those lists. Definitely, plus like I say above, Steinbeck is such an iconic American author, I felt weird having not read anything by him (other than required school reading). You’ve still done better with your list of 30 than I’ve done with my list of 50. I think I’ve done precisely six.